We all love spicy foods. 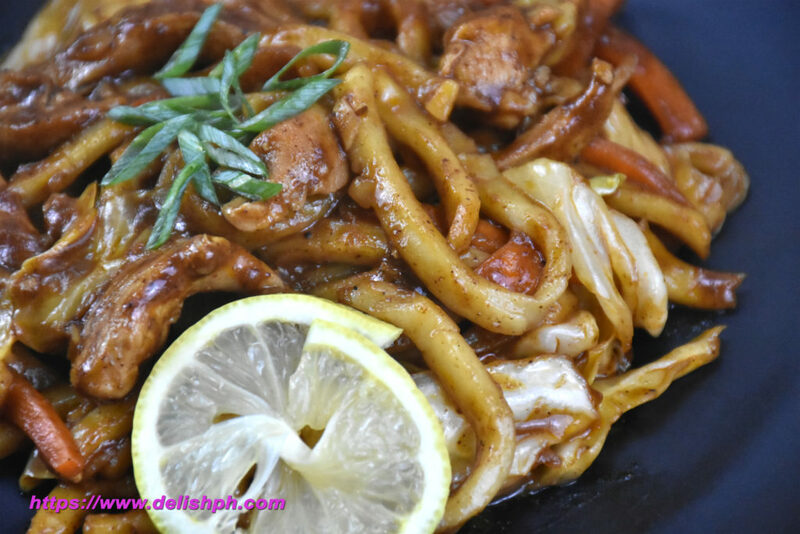 For that very reason, this Spicy Chicken Udon Noodles should be added to your recipe list. We also wanted to make it a bit saucy for you to be able to appreciate it’s flavor. Udon noodles is available at any supermarket. So it wouldn’t be that hard to find it. Prepare the sauce in a bowl. Add in the soy sauce, oyster sauce, soybean paste, chili powder, paprika powder, brown sugar and season with salt and pepper. Set aside. Heat the pan and add the chicken (no need to add oil). When it starts to turn whitish in color, pour in about 3 tbsp. of sauce on it. Stir and cook until the sauce starts to dry out. Set aside. In a pot, pour in a good amount of water. When it starts to simmer, put in the udon noodles. Let is simmer for about a minute. Strain to remove excess water. Set it aside. In a pan, heat some cooking oil, then saute onion and garlic. Add in the carrots and cook for about 2 minutes. Then add in the udon noodles. Give it a good toss. Pour in the remaining sauce in the bowl. Then drizzle the sesame oil. Mix. Add in the chicken and then the cabbage. Give it a good mix and cook for another 5 minutes. When I tried this recipe the first time, I just thought that it’s worth sharing. Depending on your tolerance, you can add more chili powder or paprika to make it even more spicy. I just added sugar to balance out the taste and to help reduce the heat the chilies. 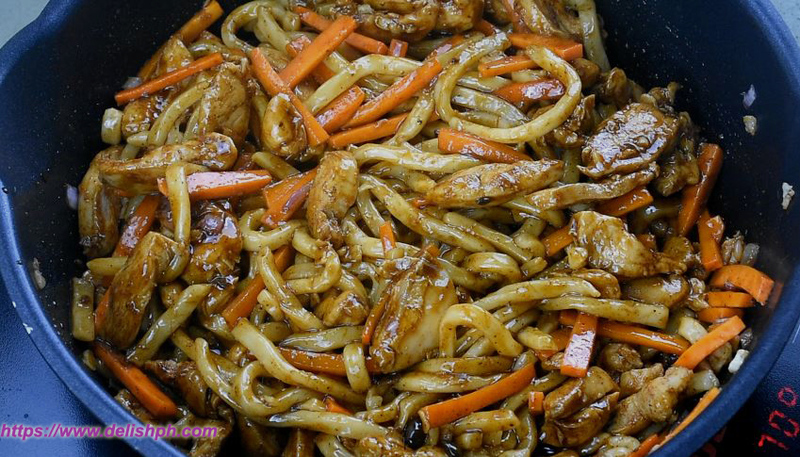 If you have any question about this recipe, drop a comment below or send me an email or direct message us to our Facebook Page.